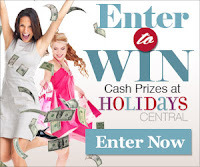 Browse » Home » Giveaways » Keurig Coffee Maker Giveaway - 4 chances to win! Keurig Coffee Maker Giveaway - 4 chances to win! The Keurig 1-Cup Coffee Maker giveaway that ended earlier this week was one of the biggest giveaways we've had here at Frugal Follies. And I know lots of you entered but unfortunately didn't win. How about 4 more chances? Each week for the next four weeks, Frugal Follies will be giving away one Keurig coffee maker! So you have four more chances to win! Here is the first weekly giveaway. Please bookmark Frugal Follies and come back on November 9th, 16th, and 23rd for three more chances to win. And please leave a comment after you've entered - I'd appreciate it! I would like to try Pumpkin Spice Coffee first. I'd try Caramel Vanilla Cream. Yum. Strawberry Pomegranate cup sounds tasty! I'd like to try the Caribou Medium Roast K-Cups first, then I've heard a lot about the Iced Coffee--any flavor would be great! I'd try the Pumpkin Spice Coffee! A good strong half decaff with chocolate overtones. I'd like the Gevalia french vanilla. I would love to win of these as I love fresh coffee. I love to try Caramel Vanilla Cream Coffee first. I would love to try the butter toffee. Also Breakfast in Bed sounds good. I would love to have the Sumatran Reserve Extra Bold Coffee, please. Thanks! I would love the green mountain pumpkin spice. Definitely pumpkin spice. I love fall flavors! I would like to try Pumpkin Spice. I'm obsessed with everything pumpkin these days. I like moca nut fudge,thanks for the giveaway. Any and all including vanilla! I would try Café Escapes Milk Chocolate Hot Cocoa first. I would love to try the Green Mountain Coffee® Pumpkin Spice Coffee first. Thanks ! I want to try the Jamaica Me Crazy Coffee! I can,t. Seem to find this flavor anywhere in stores. I love this of all the flavors. Please keep it in the stores. Nice to drink anytime...but especially in the evenings before bed. 5.0I love This Apple Cider! I could drink this all day everyday! 5.0Love this cider! No Canadian Delivery?? By Canadian's need Cider too! We love this cider, anytime of year. Only problem is something has changed as we can no longer get delivery to Canada. Green Mountain Naturals® is a harvest of family-friendly drinks made with fruit – the kind you’d find overflowing from baskets at your local farmers market. Green Mountain Naturals takes all that fresh-picked goodness and squeezes it into K-Cup® packs. Within seconds, you get a delicious, fruit brew that’s good for your entire family. Now check out the ingredient list – these familiar favorites have nothing to hide. No artificial flavors or preservatives. Nothing unpronounceable. Just honest, straightforward fruit flavor and single cup convenience. Enjoy! Green Mountain Naturals® is available in K-Cup® packs and Vue® packs. Keurig Brewed® Beverages are not eligible for return or exchange. Appropriate Use of Keurig Commercial and Home Brewers. Keurig strongly recommends that offices use UL Commercial rated coffee brewing equipment - and not UL Household rated products. I would like to try the Green Mt. Wild Mountain Blueberry Coffee.